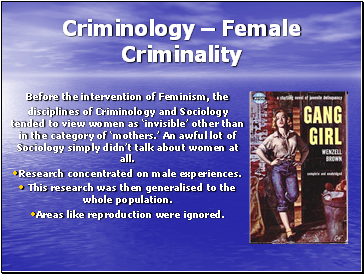 disciplines of Criminology and Sociology tended to view women as ‘invisible’ other than in the category of ‘mothers.’ An awful lot of Sociology simply didn’t talk about women at all. 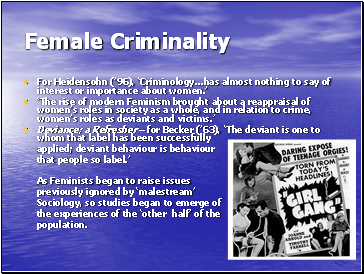 Research concentrated on male experiences. 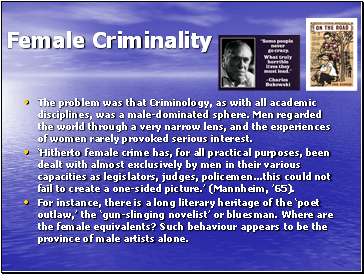 This research was then generalised to the whole population. Areas like reproduction were ignored. 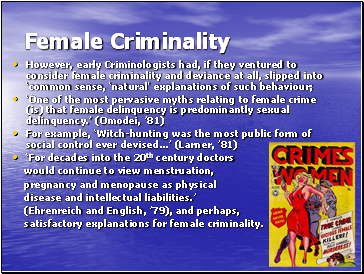 satisfactory explanations for female criminality. 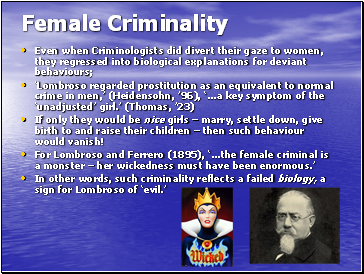 If only they would be nice girls – marry, settle down, give birth to and raise their children – then such behaviour would vanish!